Win A Dinner With Tech N9ne! 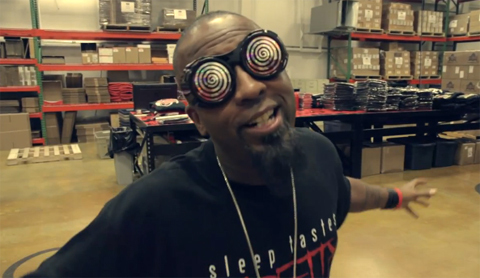 FANS: are you ready to get a unique Tech N9ne experience in his hometown? Enter to win the Tech N9ne KC Crossroads Eat and Greet Contest! That’s right, if you send us your receipt or a picture of your ticket today, you could win a dinner with Tech N9ne right after the KC Crossroads Meet & Greet! If you ever wanted to pick the brain of a Mental Giant, go on a date with the King of Independent Hip Hop, or just kick it with the O.G. himself, now’s your chance! This is an opportunity that no other fan has ever had before, so don’t miss out: send a picture of your ticket or your ticket receipt to fans@strangemusicinc.com today!